It’s an exciting time to bring Virtual Reality training into your employee onboarding. Hardware options are expanding their capabilities while becoming more affordable. In this article, I cover the top considerations for you to think about before you implement your Virtual Reality onboarding plan. Taking onboarding into the world of Virtual Reality is an exciting endeavor with the potential to make a lasting impression on your company. Both your company and new employees will benefit from a revamp of the traditional onboarding process. Employees enjoy the immersive nature of Virtual Reality training as they acclimate to their new roles and responsibilities. Employers benefit from an enhanced level of engagement that Virtual Reality brings to their employees and are armed with unique insights into performance and impact, all while enjoying a reduction in training costs. Companies spend a great amount of time and money to impart new employees with the knowledge and skills they need to get up and running in their job. Onboarding is the term that describes the process of hiring and supporting new employees as they join an organization. Although it varies from each company, it generally includes tasks such as hiring paperwork, orientation, and training. How Does Onboarding Benefit An Organization? Employees are not staying at companies as long as previous generations, and the expense of time and money is being passed on to employers. Two decades ago, workers averaged 6 jobs in their career. Today, that figure has risen to 11. The cost to replace an employee is between 25-50% of their annual salary. When analyzing the most common reasons employees cite for quitting their jobs, feeling inadequately prepared occurs often. There is good news, however. New hires are 69% more likely to stay at a company with a well-structured onboarding program. Onboarding provides a critical opportunity for employers to create loyal employees. As with any new development, before a company decides to implement Virtual Reality training for employee onboarding, there are some important questions to explore and aspects to plan for. Here are some important considerations to evaluate before formulating your own Virtual Reality strategy. Consideration 1: Who Is Your Audience? To begin with, ensure that your onboarding demographic is comfortable with new technology. By 2021, adoption into business is expected to grow to around 33%. Today, however, it remains an unfamiliar realm for most groups, particularly those in the older generations. Ensure that your plan for Virtual Reality training use takes this learning curve into consideration. Consideration 2: Is Your Existing Onboarding Effective? One of the most important questions to ask of your employee onboarding practices is ‘how effective is it currently?’. Explore both the strengths and weaknesses and dig to uncover the “whys” and “hows” of these findings. This will guide you down a successful path as you customize a plan that corrects these shortcomings and capitalizes on the strengths. Consideration 3: Which Device Suits Your Needs? Virtual Reality technology varies greatly in price and implementation costs. It is important to take into account how many headsets, controllers, sensors, etc. that you will need across all onboarding locations. PC Magazine has weighed in on the best Virtual Reality headsets for 2019 based on platform type, budget, and features. Among those reviewed, the Oculus Rift and Sony PlayStation VR were awarded Editors’ Choice, costing approximately $350 and $250 respectively. Others among the list rated within one point of these two, and ranged in price from $800 to $100. Google offers a cardboard version for around $10. While this is the cheapest option, it requires the additional expense or requirement of a mobile phone that is compatible with Virtual Reality. The disadvantages of this super cheap option are limited functionality and lower quality than the other options. When deciding on a headset, explore the variations between the options and decide what works best for your needs. Consider your intended use and invest in the type of Virtual Reality technology that best compliments the activities your employees will be completing. Consideration 4: How Will You Use Virtual Reality? While the expense of adopting Virtual Reality training is higher than that of traditional eLearning methods, the Return On Investment is impressive. It’s important to formulate a well thought out plan on how to best adopt new technology for your needs. Identify the places that Virtual Reality can make the biggest impact on your employee onboarding process. Is your workplace inherently dangerous? Virtual Reality can create a realistic environment where onboarding employees have an opportunity to master safety basics while safely learning from any missteps they make. Do you need a simulation in which employees can learn a tool or process within a safe environment before moving to the real world? Virtual Reality can simulate all aspects that must be considered to successfully master the goal. Do you need to bridge the gap of distance in order to interview global candidates? Virtual Reality training can make this happen by creating virtual environments and eliminating the need for face-to-face communication. Consideration 5: What Are Others Doing With Virtual Reality In Employee Onboarding? Look for inspiration in not only your sector of business but other industries as well. Companies are successfully using Virtual Reality to push the boundaries of what can be accomplished via onboarding. The following organizations report a reduced amount of time needed to train employees and have seen customer satisfaction and employee preparedness rise steadily. United Rentals is the largest equipment rental company in the world. They utilize outside sales representatives to communicate with job sites in order to rent equipment. In the past, they were unable to adequately prepare this group for a consistent approach to job sites, as videos and formal classroom training failed to replicate the job site experience. They found their solution with Virtual Reality training, giving them the ability to bring construction sites into the classroom. Now, United Rentals simulates the phases of construction through an immersive Virtual Reality training platform for all new hires. With this learning approach, employees are able to experience realistic job sites, while eliminating all potential risks, and have reduced training durations by 40%. Fidelity Investments provides financial planning and advice to their clients. The employees within their call centers work with clients who have a wide range of needs and situations. With every call, the call-center staff has a complex set of decisions to make and must display an understanding of the products and services Fidelity offers. Even more importantly, they must showcase empathy for each client’s situation. However, Fidelity’s workforce includes a large percentage of Millennials who have not had the same life experiences as the client base. Fidelity needed to instill compassion and understanding in their employees for the ups and downs of life that their clients routinely face. They worked with a consulting firm to create a Virtual Reality solution that gives employees a glimpse into simulated clients’ homes in order to gain perspective and humanize each unique simulation. The result created more empathetic employees that were better able to help clients. It also identified any employees that needed additional training based on their performance in the onboarding experience. 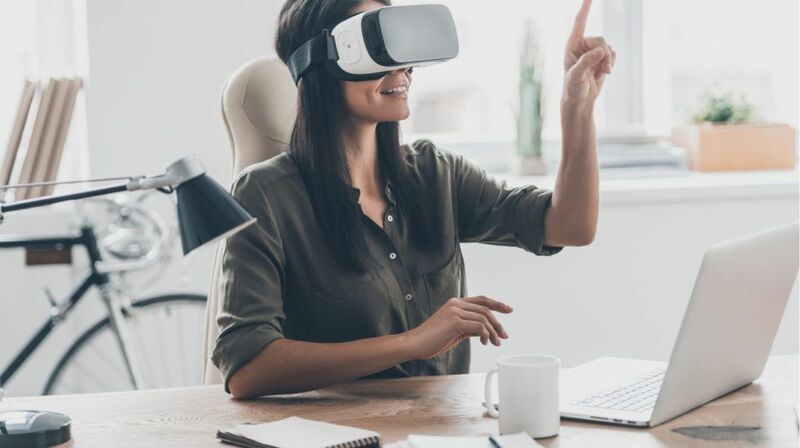 As you take the time to implement Virtual Reality training into your employee onboarding process, be sure you have addressed these fundamental considerations that will steer you toward the most effective solution for your specific needs. Virtual Reality has the capability to solve onboarding obstacles in a way that no other method can. Whether you need to span distance in order to collaborate globally or simulate environments that would be too dangerous or costly to do so in real-life, Virtual Reality can help bring your practices to the cutting edge of technology.